What we wouldn't give for an exotic Hawaiian vacation right now - to be out of the office and on the beach, bathing in the sun, sipping luscious cocktails, and relaxing completely from head to toe. The good news is that since the holiday season is coming up, we could make a booking and be there in a few weeks. The not-so-good news is that we'd need to have won a lottery jackpot first, as Hawaii isn't exactly known for its cost-effectiveness - at least where tourists are concerned. 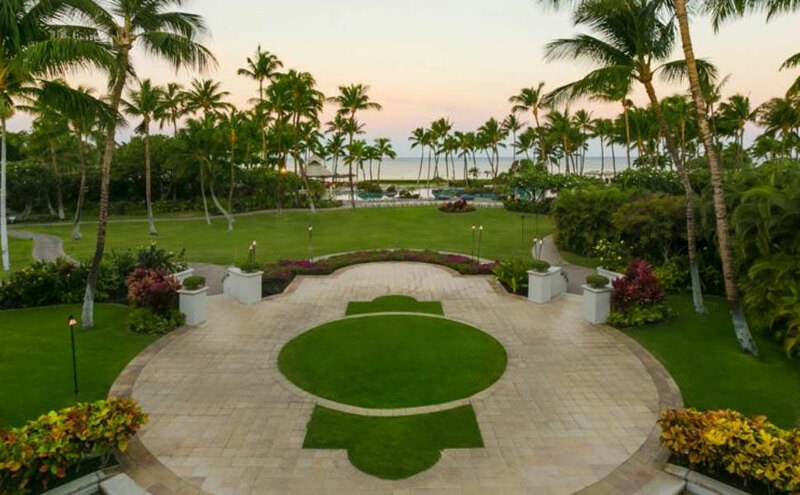 The Four Seasons brand is already known for being one of the most sophisticated in the world - and its Hawaiian resort is no exception. 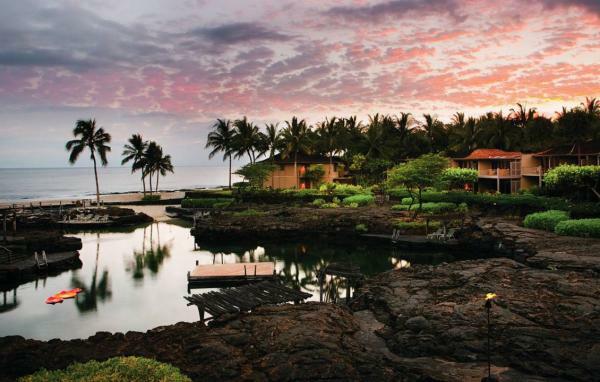 Welcome to the Four Seasons at Hualalai, a breathtaking gem of a hotel with panoramic ocean views, a snorkelling pool hewn from natural lava rock, and more tropical fish than you can count. Choose your living space from a selection of indulgent bungalows or villas, and get ready to feel like a Four Seasons VIP from dusk till dawn. Prepare yourself for a veritable bouquet of luxury from the Fairmont Orchid, only a short distance from the Four Seasons. Book yourself into one of the 45 suites on the Gold Floor, and you won't just be staying in a room - you'll be staying at a 'hotel within a hotel', a private experience complete with its own dining, valet parking and bar, and where each room boasts its own marble bathroom and terrace (lanai). And should you ever want to leave your suite (although we can't imagine why) you'll have the shade of sky-high palm trees to walk under, an oceanfront lagoon to swim in, and non-stop luxury to enjoy. Now you can truly feel like a Rockefeller - at least while you're under the roof of the Mauna Kea Beach Hotel, that is. That's because this legendary resort was originally financed by a Rockefeller, one who believed firmly in the idea of world-class beaches deserving nothing less than world-class resorts to complement them. 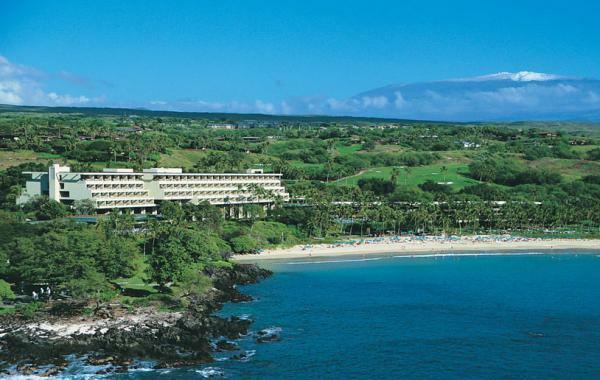 Enter the Mauna Kea - a beach hotel combining the exotic ambience of Hawaii with the style and class of old Hollywood, into one unforgettable holiday experience. Secure your spot in one of its opulent seascape rooms, and drink in the ocean view eight storeys below you, breathtaking in all its stormy grandeur. 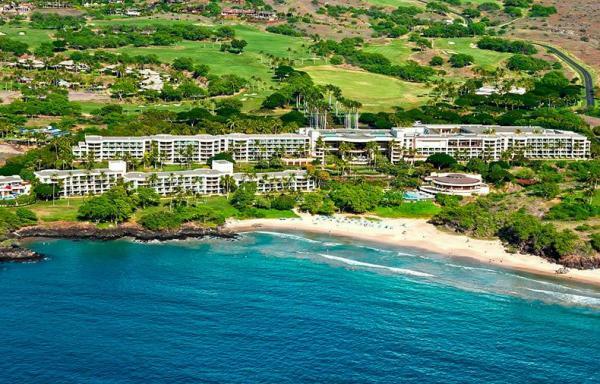 If you want to live the sumptuous life of a royal, there's no better place to do it than at the Hapuna Beach Hotel, the sister resort to the Mauna Kea. The beach is king here, with pristine white sands, gloriously beautiful sunsets, and delicious seafood served at its adjoining restaurants. Perfectly situated for day trips full of colour and culture, the Hapuna Beach Prince Hotel is the ideal resort to come back to after a day on the island, with its luxuriously appointed rooms waiting to welcome you home in style. Got your tickets into the weekend lottery draws? Then you too could be saying 'Aloha' to the Hawaiian experience of a lifetime - all with a little help from GiantLottos.com! You can enjoy lotto on the internet, right here at Giant Lottos for the same price you 'd spend in the shops. Join up using our fast and easy registration procedure and you'll be able to pay in funds, pick your numbers and buy your lotto tickets online .